It's part of an EP about her husband, actor Daryl Sabara. 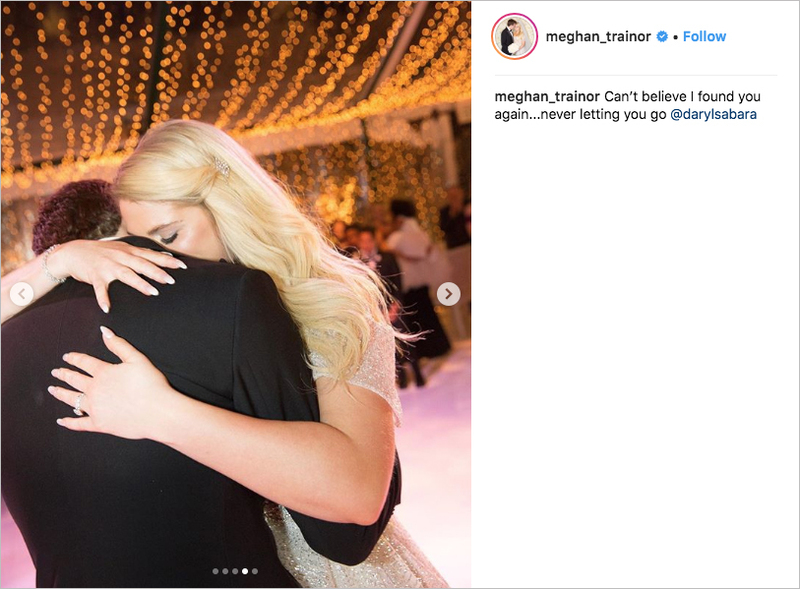 Singer Meghan Trainor and her new husband, actor Daryl Sabara, had a fairy-tale winter wedding at the couple’s home in December – on the bride’s birthday, no less. Now fans can have a bit of their own fairy tale on their big day, thanks to Meghan’s new EP release. The Love Train is inspired by her romance with Daryl and even features the song that played as she walked down the aisle. It’s not every bride who can have her processional feature a song she wrote, but Meghan did just that with the tune aptly named “Marry Me” – about her husband, of course. Because its personal nature, Meghan initially didn’t plan to release “Marry Me,” the singer tells People. “But when I walked down the aisle to it, I was like, we gotta get this out somehow, in some special way. I’m excited because it might be nice for other people if they want to walk down the aisle to it,” she adds. Not only would the sweetly romantic song be great for other brides while walking down the aisle, but the ukulele-filled number also makes for a lovely option for the first dance, or even the background music during a wedding highlight video. In fact, the whole EP has potential for various pre-wedding playlists. Discover our other predictions for popular first dance songs in 2019 and learn more about an EP specially curated for LGBTQ weddings.